If you live in a smaller space or a uniquely shaped home, then you likely know the importance of utilizing every nook available. Today I’m presenting some of the most stylish and space maximizing nooks around. We all have hallways, so why not use your hallway nook to your advantage? 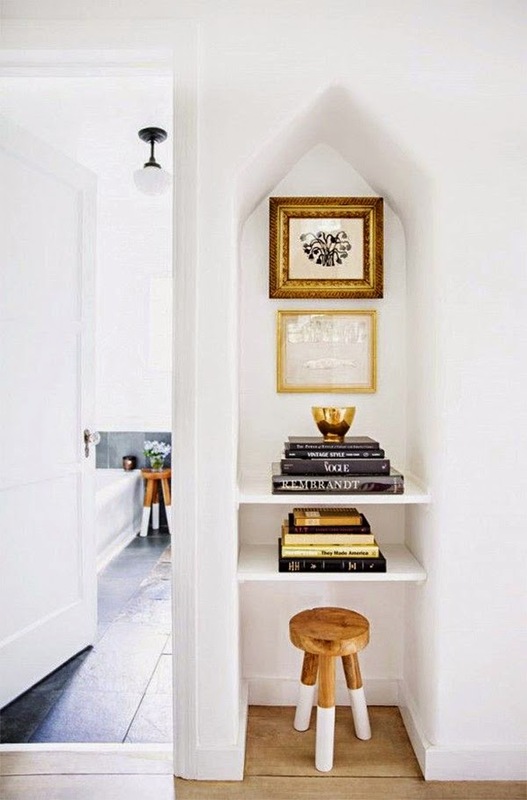 Consider adding storage, a chic vignette, or creating a relaxing place to read. Designer Pat Healing did just this when he used the sunny hallway (above) to create a cozy reading nook! How luxurious is this daybed nook (above)? Framing your tiny space with ceiling height curtains adds both drama and a touch of luxury. And I must mention the Moroccan style shudders, which really add to this character filled space. It’s easy to forget that beneath our staircases lies a world of possibility for interior design and storage. 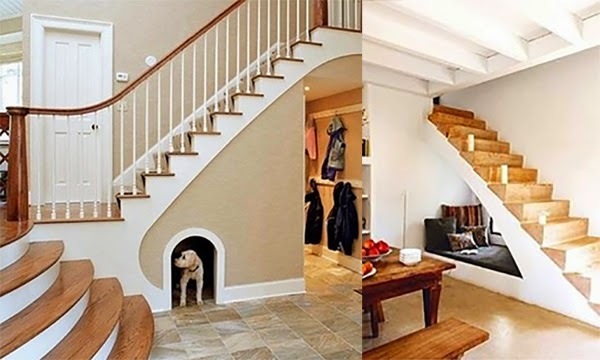 Above, we get an idea of two unique ways to utilize the space beneath our stairs. 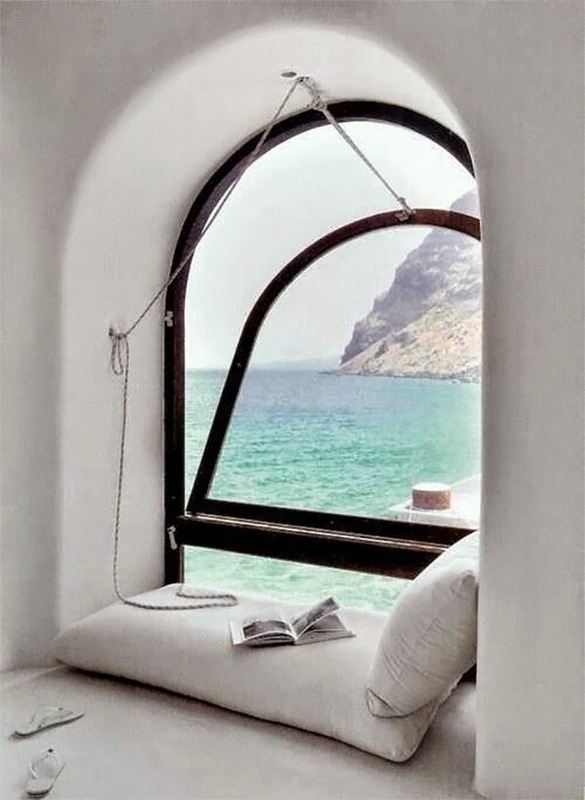 A puppy hideaway or another cozy reading nook. Underneath yours stairs would also be an excellent place to introduce a storage system or add a space to hang your coats. Consider creating a space to sit down and take a breather in that empty nook in your home. You may be able to add a full daybed, like shown above, or maybe a smaller resting space like shown below, also styled with luxurious pleated curtains. For those of you with uniquely shaped rooms and steeply slanted ceilings, there is hope for your nook too! 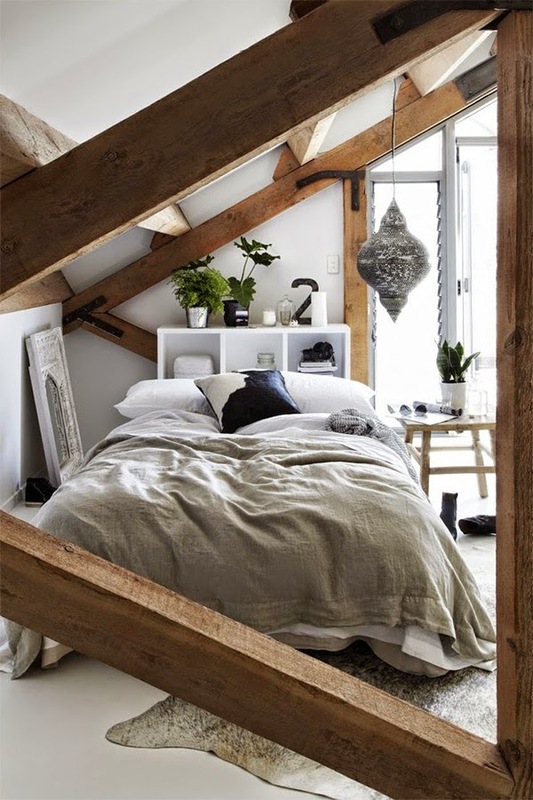 Despite the difficult ceiling angle, the bedroom nook above looks just as comfortable and even cozier than your average bedroom. So, how’s that for making full use of a uniquely shaped space? And if your nook is just too small to make room for an adult, that nook may be just the perfect sized space for your little one! See below for inspiration. 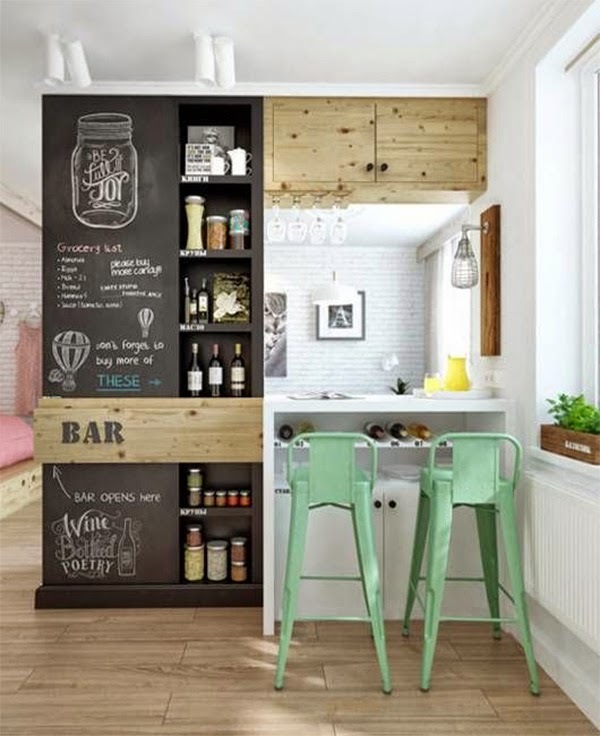 This artistic spin on a kitchen nook is both creative and full of storage! This tiny space (above) includes pantry storage, a wine rack, colorful bar seating, and a chalkboard wall featuring fun artwork along with more practical details like the grocery list. A can of chalkboard paint will allow you to transform your own wall to a space for sharing personal drawings, messages, and important household lists. For more ideas on utilizing chalkboard paint click here. If your home features a wall cutout, don’t abandon it, but decorate it! 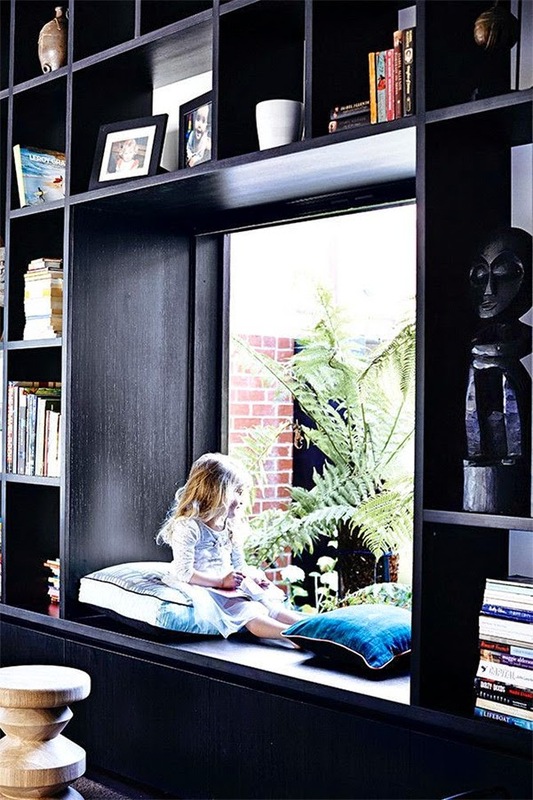 Just look at the nook above with shelving for storing books and a lovely artwork display. If you have a lonely looking nook at home, decorate it and use it for storage. Utilizing your nook will maximize your space!